"Most importantly, it’s sung with clarity and acted with such conviction by a troupe of enthusiastic and exceptional singers - Kate Amos, Eleanor Blythman, Shakira Tsindos, Nathan Lay, Simon Meadows and Michael Lapina with expert piano accompaniment by Jane Matheson/Pam Christie - that no kid critic could criticise." "Both Dugan and Tsindos as the thieving Wombat and Possum leaped into their roles with plenty of vim"
"Puddin’ Thieves Shakira Tsindos as Possum and Shakira Dugan as Wombat, were a perfect borderline bumbling pair in their conniving pursuits." "Mezzos Shakira Dugan and Shakira Tsindos did well as the Pudding Thieves"
"Both soprano Suzanne Shakespeare and mezzo Shakira Tsindos took on the minute parts of the servant-girls questioning Peter outside the High Priest’s house. Both were enlisted for meditative ariosos/arias after Peter’s denial and after Christ’s interchange with Pilate, pages that asked for and received a good deal of plangency but calculated for comfortable singing – nothing like the terrifically exposed female solo lines that the elder Bach wrote." "The women recreated the songs’ drama with accomplished ease, moving with lithe grace, and in sympathy with the music... their voices are strong and uniquely coloured so each number had depth and variety." "There was an excellent Cosi with a beautifully balanced cast - great sisters (Anush Avetisyan and Shakira Tsindos)"
"A key focus-point of the oratorio is, of course, its archangels Uriel, Gabriel, and Raphael, performed by Staples, Stagg, and Davies respectively. 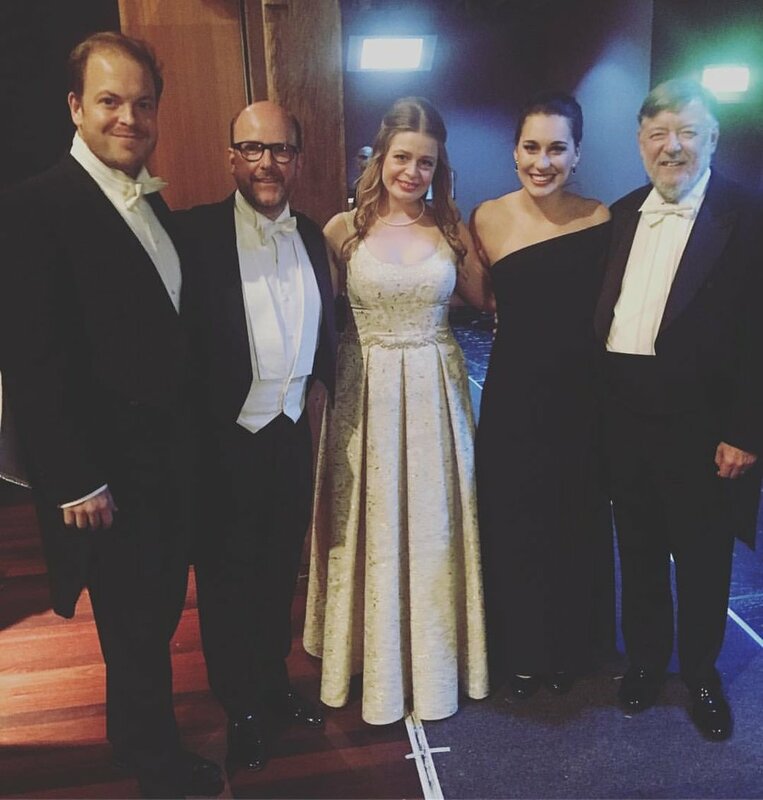 Emerging mezzo-soprano Shakira Tsindos joined the cast for the final chorus." "As a trio of angels, briefly joined at the end by mezzo Shakira Tsindos, the soloists were suitably heavenly of voice." "The final chorus of praise saw mezzo soprano Shakira Tsindos join the other soloists for their very brief contribution to the ‘’Amens”, and orchestra and choir concluded the performance with an energetic flourish, leaving us with Haydn’s infectious joyfulness." "The Nightingale/Cuckoo duet that begins the opera in a lush field of impressionism found Zoe Drummond and Shakira Tsindos sharing the labour – and the pages are not easy; although not asking for dynamic projection, they do hold an amount of fioriture that is high and exposed." "Zoe Drummond and Shakira Tsindos get the performance off to a terrific start with their gorgeous vocals as the Nightingale and the Cuckoo"
"Victorian Opera’s voices are young, but exceptional. All of the score was beautifully handled by all performers – every moment was delivered with delightful accuracy, clarity and expression throughout." "Shakira then moved on to Gounod’s Faites-lui mes aveux. A truly captivating aria, bathing the listener in French grandeur, juxtaposed against sections of conflicting emotions." 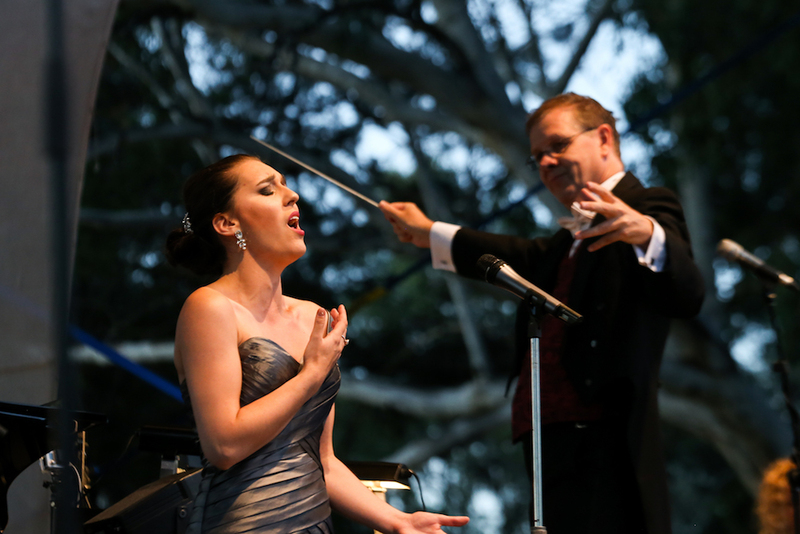 "A showcase of sorts for five of the best from Victorian Opera’s professional development program – Kate Amos, Daniel Carison, Michael Petruccelli, Michelle McCarthy and Shakira Tsindos." [Michael Petruccelli] is joined by fellow members of VO’s Professional Development Program, Kate Amos, Daniel Carison, Michelle McCarthy and Shakira Tsindos, performing their best as Laughter’s minstrels. "Laughter allows some up-and-coming singers of the company a chance to shine. Michael Petrucelli acquits himself well as Arlecchino, assisted by the well-blended voices of Kate Amos, Daniel Carison, Michelle McCarthy and Shakira Tsindos." "Talented young singers Kate Amos, Daniel Carison, Michelle McCarthy and Shakira Tsindos join Petruccelli as wobbly minstrels trying to stay on track in the chaos of act one." "Cristina Russo and Shakira Tsindos made a lively pair of horrible sisters, more ugly of character than physical appearance... The trio drew quite a few laughs with their pouting and prancing and generally rude behaviour." "...Cristina Russo and Shakira Tsindos playing her daughters, getting lots of laughs." "In a highly auspicious professional debut, Shakira Tsindos lends strong support as Lucia’s maid and companion Alisa, more than holding her own as she sings with Pratt in Act One." "Shakira Tsindos is a demure and sweetly sung Alisa"
"Smaller roles – Shakira Tsindos' maid ... made their marks in various ways." "Still, Donizetti animates and melodises all his characters, however minor. Shakira Tsindos was a striking Alisa." "Shakira Tsindos was a sympathetic Alisa"
"... Shakira Tsindos ... distinguished themselves in smaller roles." "Mezzo Shakira Tsindos is charming as Lucia’s handmaiden, Alisa." "There are nice turns from Jud Arthur as resident chaplain Raimondo and Shakira Tsindos as Lucia’s handmaiden." "Solos from scholar of the year finalists Elizabeth Barrow, Shakira Tsindos and Stephen Marsh thrilled the audience." "Shakira Tsindos performed her role with real warmth – she shows a likeable stage presence."